Even today, the use of certain tools is fundamental as like “experience”. Our creations arise from the use of bygone tools – our hands – constantly moving in rhythmic movements, stitching with the utmost precision, flipping the leather and the thick leather over and over again, leading to a absolute perfection. 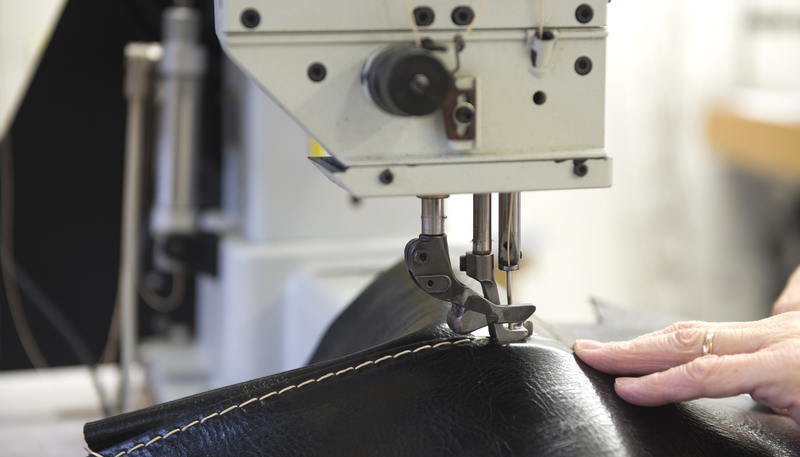 The high quality of the materials, the wide of our product range, the beauty of our prestigious leathers and fine fabrics, together with the high precision stitching are among the strong points of Marelli products. In this video we show how we handle our fine fabrics.